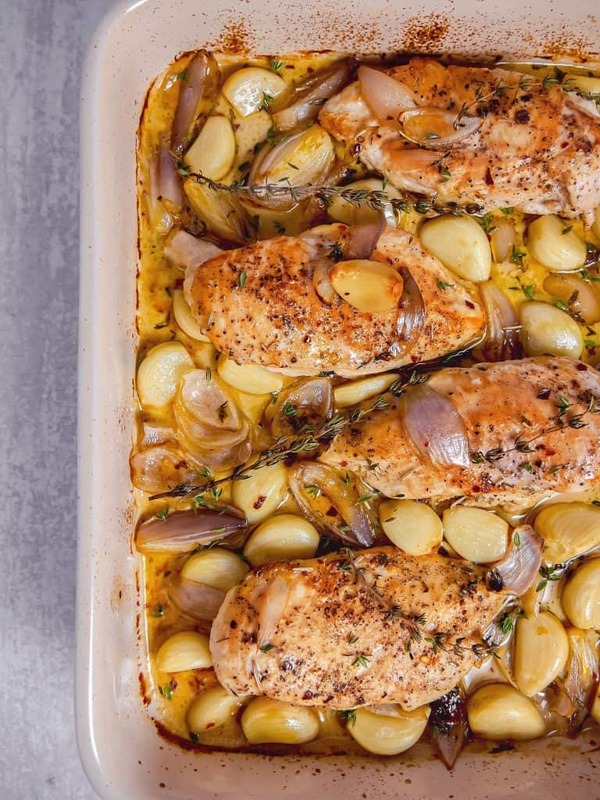 This garlic roasted chicken needs to be added to your dinner lineup ASAP. 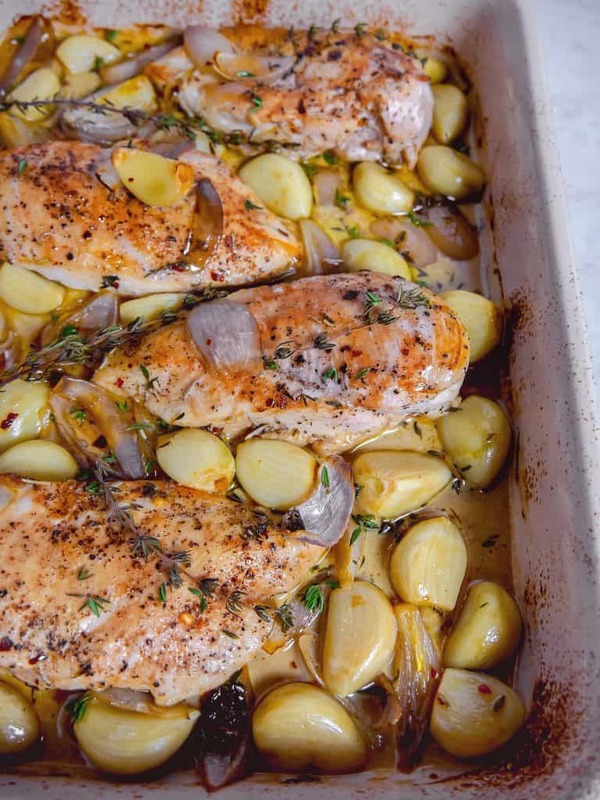 The roasted garlic and shallots paired with white wine cream sauce elevate simple chicken breast into a delicious, flavorful meal. If you have been following my blog, it’s no secret that I love garlic. I brought this love to a new level with this dish. 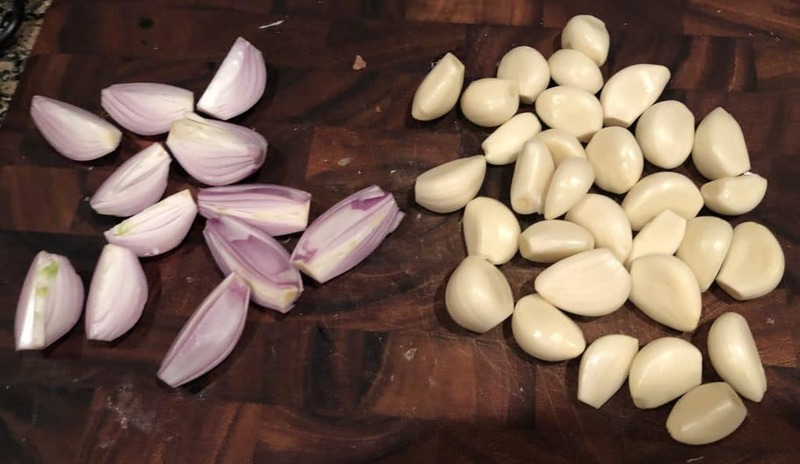 If you’re bored and want to count the cloves of garlic above, if not i’ll just tell you….30. Excessive? Maybe, but this dish will truly become one of your favorites. 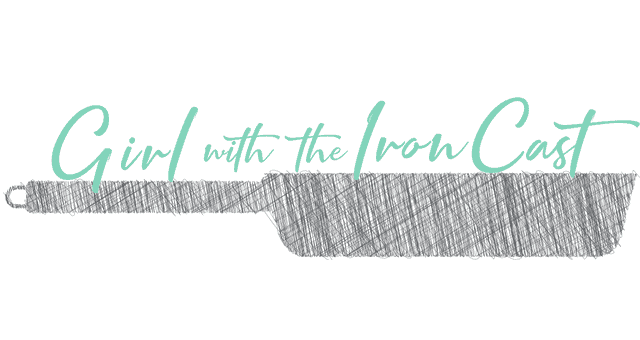 I started with searing my chicken breast in my cast iron skillet. You can use chicken thighs and get that super crispy skin, which would be great too. 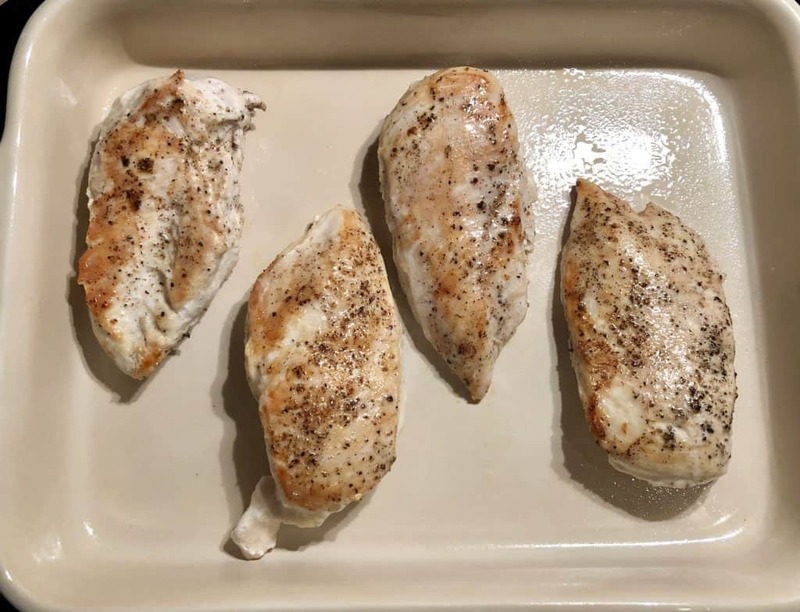 I seared them about 6 minutes on each side with just salt and pepper. All the flavor is going to come from our garlic, shallots, and sauce. 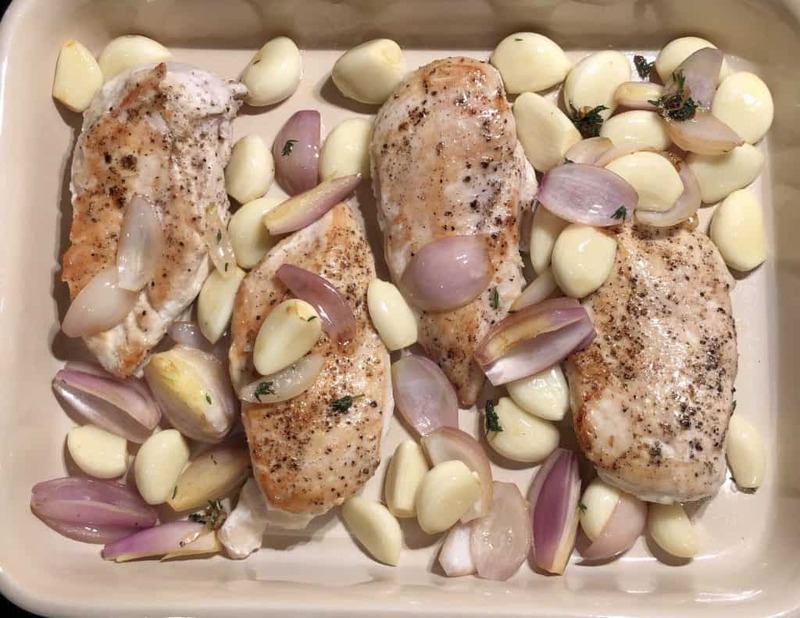 After removing the chicken breast, we are going to toast up the garlic and shallots. 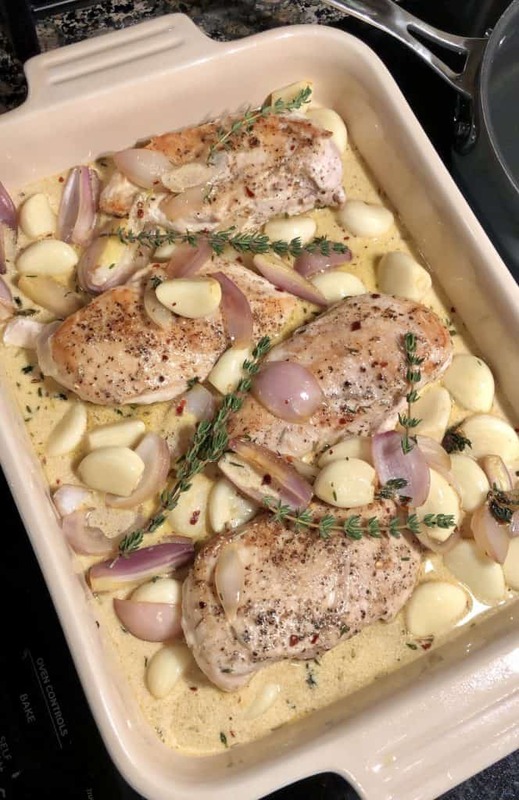 I wanted to get the garlic and shallots going by cooking them for about 4-5 minutes, pushing them around to get some of the chicken flavor. 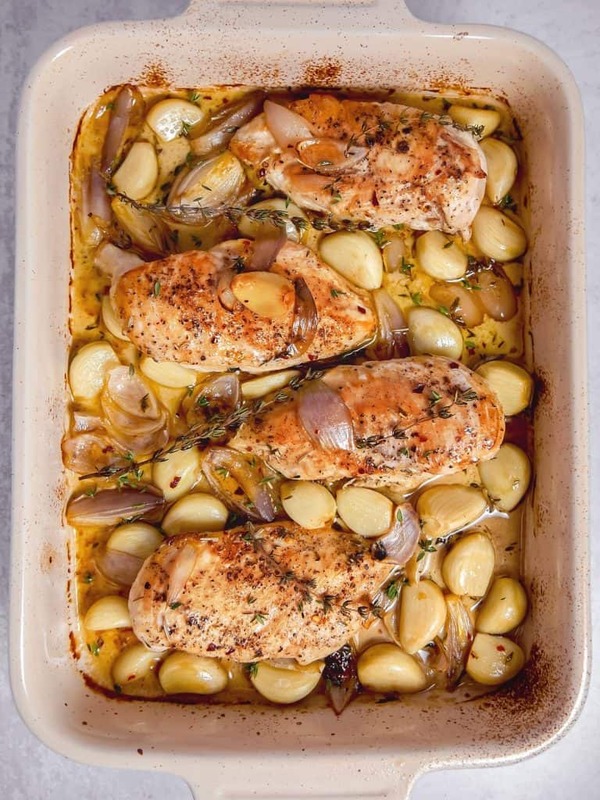 After slightly cooking the garlic/shallots, spoon them over your chicken breasts. Next up is the sauce. I first poured in dry white wine and deglazed the pan for about 5 minutes or until the liquid was reduced by half. Take this time to scrape up the stuck on bits in the skillet, because that’s where all the flavor is. [Side note: it’s so interesting to smell the intense alcohol scent in the steam coming off of the skillet from the alcohol cooking out]. 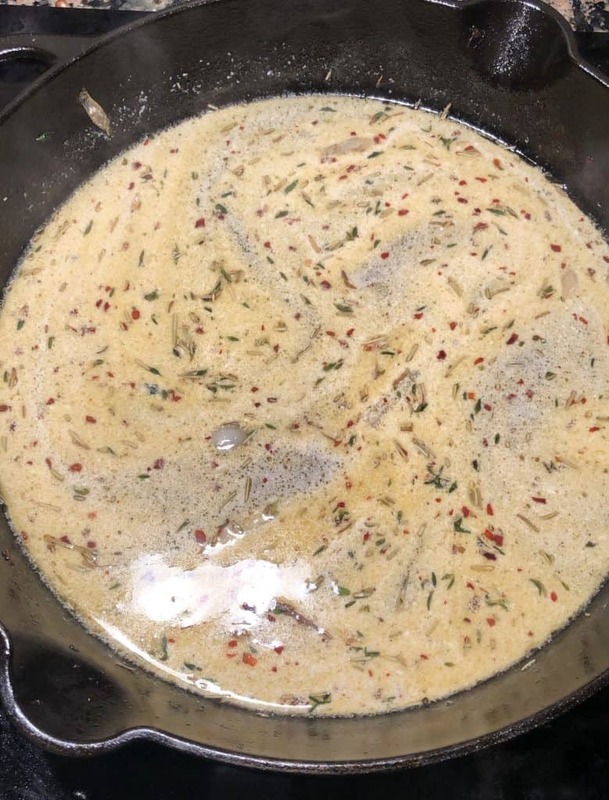 Then you’re going to add in chicken broth, dried rosemary, crushed red pepper flakes, and a touch of cream. Once it comes to a light boil, reduce the heat for 2 minutes then pour over the chicken. 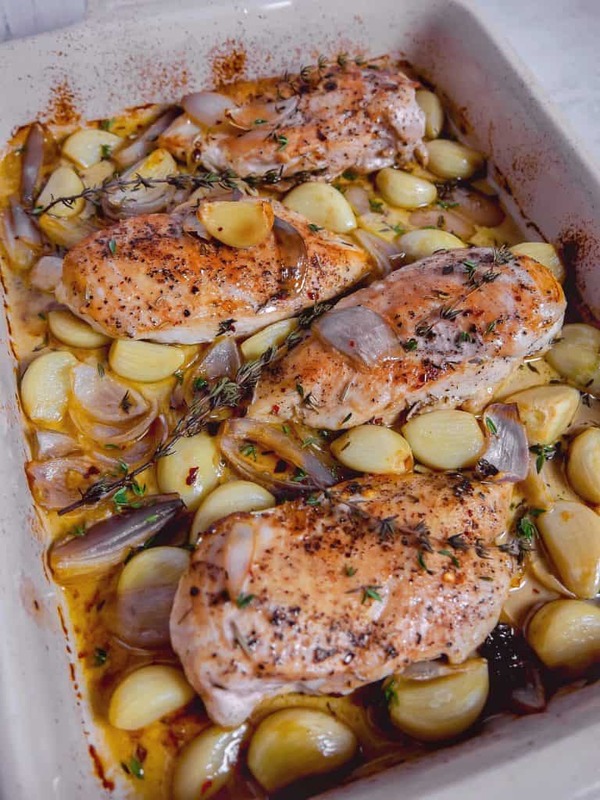 Add fresh thyme sprigs on top and pop it in the oven for 35 minutes. 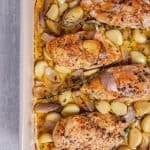 When the chicken is done you’re left with juicy chicken surrounded by roasted garlic and a creamy sauce. You can serve this over pasta, paired with rice/veggies. I served it with risotto and asparagus on the side. When you serve it, make sure to spoon the sauce over the chicken, that’s the best part! 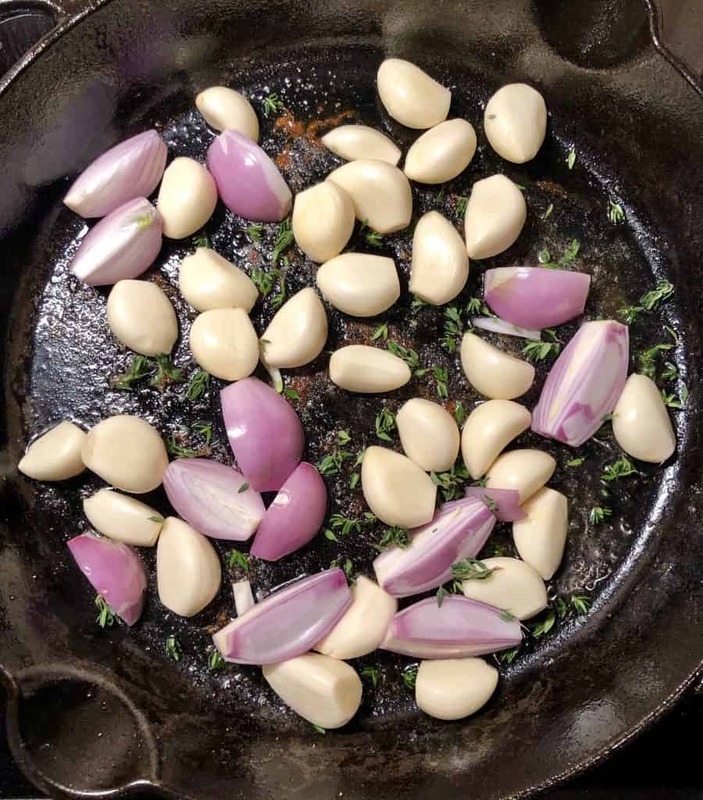 Utilize the roasted garlic cloves and sweet shallots with each bite. Enjoy!